What the Burros Taught Me – Hey, Look! A Writer Fellow! A long time ago, years before my son was born, my wife, Ellen, bought herself a stuffed Eeyore doll at the Disney Store. Her plan was to snuggle it while she slept. It turned out to be the perfect size and shape for someone who sleeps in the fetal position. So, for the first time since I was seven, a stuffed animal was now resting on my bed. And, well, I guess I regressed. I soon gave Eeyore a voice and a personality that bore little resemblance to the morose Milne/Disney creation. In the beginning, the persona I created was solely designed to make my wife laugh. As time went on, however, Eeyore – my Eeyore – became more textured and complex. And, well, it went on from there. Ellen and I learned a new tidbit about Eeyore just about every day. Eeyore’s favorite song is “Funkytown.” He is fond of ponies, guinea pigs, and Clint Eastwood movies (especially A Fistfull of Dollars, as that is the one where Eastwood kills four guys for scaring his mule.) 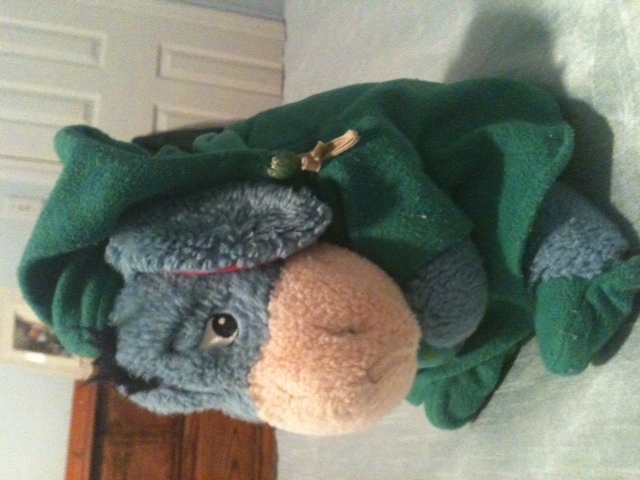 Eeyore’s weapon of choice against pirates is a sock full of nickels (or as he describes it, “seventy-five cents worth of mayhem.”) He likes to help Ellen with Sudoku but always suggests the number 11. He often uses bad language, loves to dance, is not fond the pullout sofa, and has a seething dislike for the stuffed squirrel on the other side of the room. As I write this, I fear this all makes me sound insane. I’m harmless, really. I also have a point. Adopting this stuffed animal’s personality has stimulated my creativity on more occasions than I can count. Talking through Eeyore keeps me from censoring myself; it allows the ideas I might dismiss an opportunity to be heard out loud. Getting that kind of inspiration is well worth looking a little crazy. And that’s good because, now that I think about it, that stuffed squirrel has been kind of quiet lately. I wonder if he might have anything to add. It’s amazing how inspirational a dash of crazy can be! This post is so cute I may never delete it. Go with that instinct! Thanks, Christina! That’s awesome! Thank you, Erin! Writers can never have too many characters in their lives! Thanks for the kind words! Yeah, it does make you sound a bit unbalanced. Somehow we acquired a stuffed moose, and then a squirrel (of course) but they are banished from the bed and sit on the dresser, huffily. 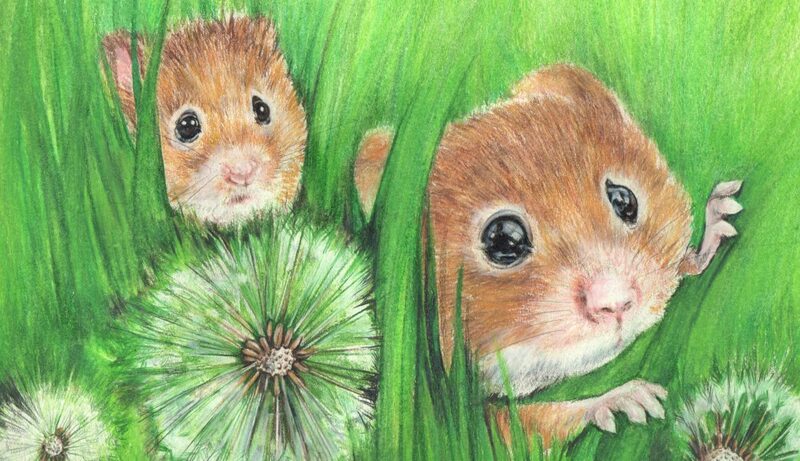 Of course they’re huffy; you’re not listening to them! Back in the day those two had foiled many a Communist plot. Give them the respect they deserve! I found my own burro in the form of a bear when I was fourteen. Prior to that time, I didn’t talk at all. Now, I don’t stop. I no longer utilize Mr. Bear (yes, the most creative of names) as much, because I’m so good at talking to myself in various voices. Thanks for your honest, fun post. I think I might follow suit and add Mr. Bear to my blog. I don’t think you’re crazy, because my mind does so much of the same thing. I like that idea! Mr. Bear can be a guest blogger! Hm. Perhaps we are both crazy. Pingback: The Reality Award | Good. Wholesome. Fun. Oh, fear not. I’m contemplating a compilation.